Obituary for Joan W. (Webb) Basile | TRAUB FUNERAL HOME INC.
Joan Webb Basile of West Monroe, N.Y. passed away peacefully on May 24, 2018 after a year long battle with cancer and renal disease. She was born in Bernhards Bay, N.Y. on March 1, 1937 the second child of Harlan B. and Mary Ellen Bryant Webb. She was predeceased by her siblings Jack Webb and Linda Traub. A graduate of Central Square Central School, her love of music and singing led her to a career in music education and performing. She earned degrees in Music Education from the Crane School of Music, SUNY Potsdam and Ithaca College. She was a music educator in the Phoenix,Camden,Westhill, Fayetteville-Manlius and Baldwinsville Central Schools. She and her students were active participants in the programs offered at the county, area and state levels of the New York State School Music Association. She directed successful school musical productions throughout her career. These successes lead her high school chorus in Baldwinsville to be invited to sing as the off-stage chorus for the Syracuse Opera world premiere of composer Frank DiGiacomo's opera "Beauty and the Beast" in 1975. From that collaboration was born the idea to write a Christmas opera to be performed by students. "A Journey to Bethlehem", music by Frank DiGiacomo, libretto by Julian R. Pace was commissioned by and had its world premiere at C.W. Baker High School, Baldwinsville in December 1975. Joan served as musical and stage director and conductor for the production. Joan was active as a jazz standards and great American songbook singer throughout her career, meeting her husband while singing at his restaurant, The Castaways in Brewerton. Her karaoke business, Joanie's Jazz specialized in bringing the joy of music to adult care facilities in the greater Syracuse and Ruskin, FL areas. She continued to work in various aspects of music and other careers after retiring from teaching. She ran successful cleaning service and audio book businesses. Along with her husband and brother she operated the Thousand Islands Golf Club and Resort on Wellesley Island. She also supervised music student teachers for her alma mater SUNY Potsdam. A fierce advocate for women's equality in the workplace and in society, Joan was a strong supporter of and volunteer at the Matilda Joslyn Gage House in Fayetteville. In 2013 she received the Elaine Lytel Advocacy Award from Planned Parenthood of the Rochester/Syracuse region for her ongoing support. In 2008 she authored a book about her personal struggle to access safe reproductive healthcare titled "You Made Your Bed". Joan is survived by the love of her life and husband of 43 years Florine Basile Jr. ; five daughters and their families: Suzanne Greene, Cassie and Jacob Chamoun; Tracy and Neal Allen, Matthew Allen; Vicky and Mike McCullough, Julie McCullough, Scott McCullough, Lauren and Nate Meader; Anne and Rob Hoston; and Jeannine and Rick Serley. She is also survived by her brother in law Leonard Basile, sister in law Keitha Webb, brother in law James Traub, nieces and nephews Debbie and John Bushnell, Tom and Pat Webb, nieces and nephews David and Margaret Traub, Sherry and BJ Hayes and Andrew and Angela Traub, dear friend and caregiver Cindy Grenier Hayes and countless friends at the Gage House and Fishdam Island on the River. Calling hours will be 4:00-8:00pm Thursday, May 31, at Traub Funeral Home, Central Square. Services will be 1:00pm Friday, June 1, at the funeral home with burial in Lakeside Rural Cemetery, Bernhards Bay, NY. 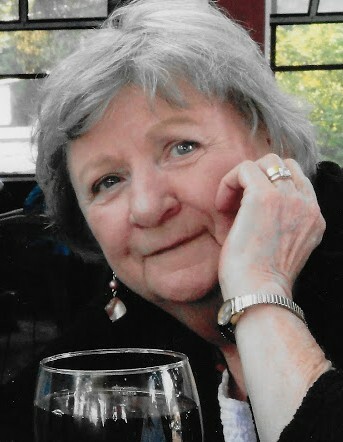 Memorial donations in memory of Joan may be made to the Mathilda Joslyn Gage Foundation, 210 E. Genesee St. Fayetteville, N.Y. 13066 or Planned Parenthood of Central and Western N.Y., 1120 E. Genesee St., Syracuse, N.Y. 13210.